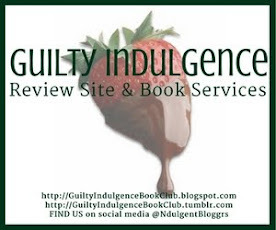 GUILTY INDULGENCE'S EIGHTH ANNUAL HAPPY HUNKY DAYS!!! Seasons greetings from all of us to all of you. As we rush toward the end of 2017, juggling work, school, kids, pets, and life in general, it's hard to imagine how we can possibly get it all done! Thankfully we all share that most enjoyable guilty indulgence of reading - what a way to relax and recharge so we can get up and do it all over again. We are blessed to continue to be in one another's lives despite the distances between us and want to pass that love onto each and every one of you. Please join us for our EIGHTH ANNUAL HAPPY HUNKY DAYS!!!! Twelve fun filled days of Christmas where we treat you with gifts of joy and happiness (aka excellent books to place on your TBR pile and very yummy eye candy!) Savor the calorie free treats and join us daily for more fabulous Ndulgent reads! It’s the holiday season and vampire Glory St. Clair finally sets a wedding date. But will a hit ordered on a dear friend ruin Glory’s chance for an eternity of wedded bliss? 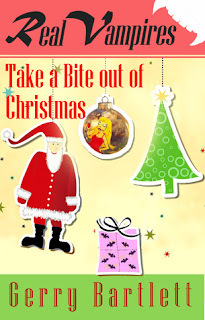 Find out in Real Vampires Take a Bite out of Christmas, a novella featuring the gang from the best-selling Real Vampires series by Gerry Bartlett. WOW! A wedding to plan, moving into a new place together, Christmas and an attempted killing! That gives a whole new meaning to holiday stress!